LGBT community stages third celebration. 20-27 June. A week of parties, conferences, screenings, dancing and street theatre will lead up to the final parade on Saturday 27 June as this year’s MilanoPride gets underway. 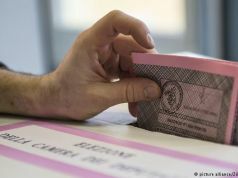 Launched on 20 June on the roof terrace of the USA pavilion at Expo 2015, this year’s week celebrates not only gay pride and rights for the LGBT community, but all aspects of civil rights in the spheres of health, religion, labour and migration. 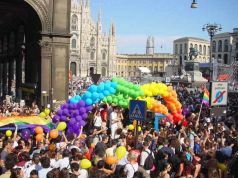 Milan’s third Pride Week, sponsored among others by the city council and the regional government, will this year centre around “Pride Square”, close to Porta Venezia, where aperitifs, debates, street markets and shows will run from Thursday to Saturday. 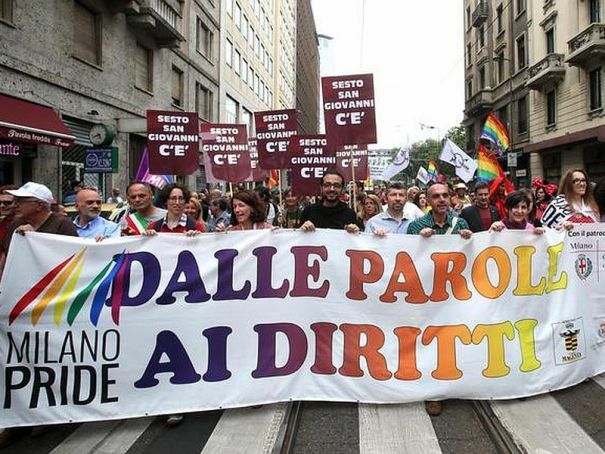 The colourful parade on 27 June will round off the celebrations, starting from Piazza Duca d’Aosta in front of the central rail station at 16.00 on Saturday and following Via Vitruvio, Via Settembrini, Via Pergolesi and Corso Buenos Aires to Pride Square. 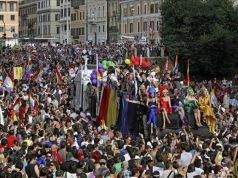 The MilanoPride website lists the full calendar of all the week’s events.